ESA's Mercury Planetary Orbiter of the BepiColombo mission, with its 7.5 m-long solar wing fully extended. 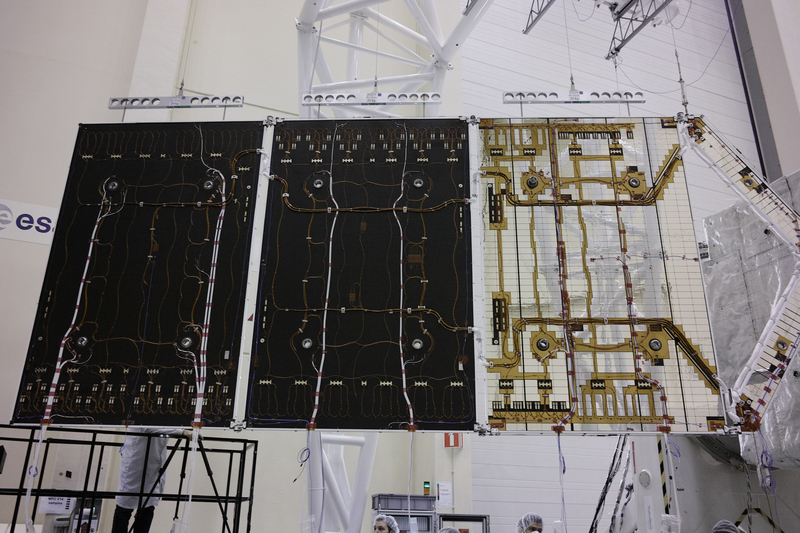 The image was taken during testing carried out at ESA's technical centre in the Netherlands last month, prior to its launch in October 2018. It shows the 'back' side of the solar panels, with cabling that will eventually be connected to the main spacecraft body. One of the back panels is also reflective, to redirect stray light away from the spacecraft body.